Denver Broncos quarterback Case Keenum (4) is hit by Los Angeles Rams free safety Lamarcus Joyner during the first half Sunday in Denver. 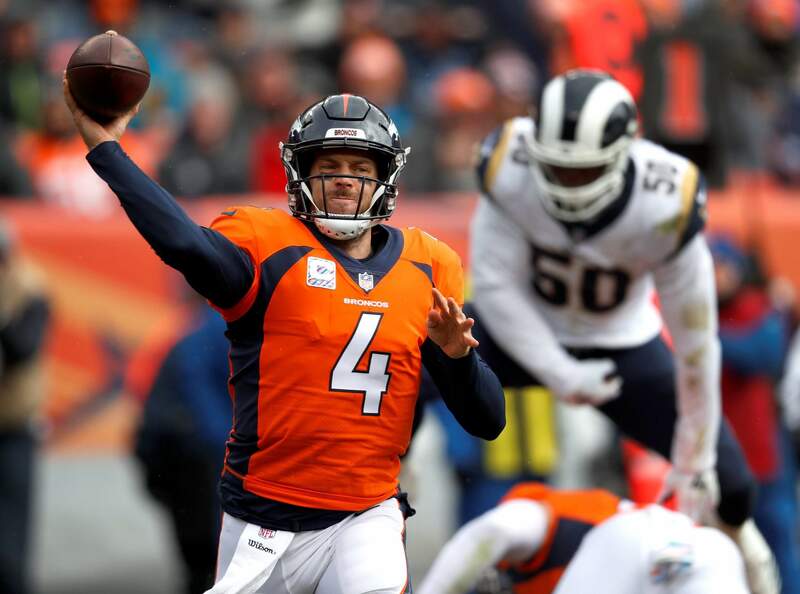 Keenum has gone down, been intercepted and played much worse than Denver hoped when the Broncos signed him to a two-year deal in the offseason. 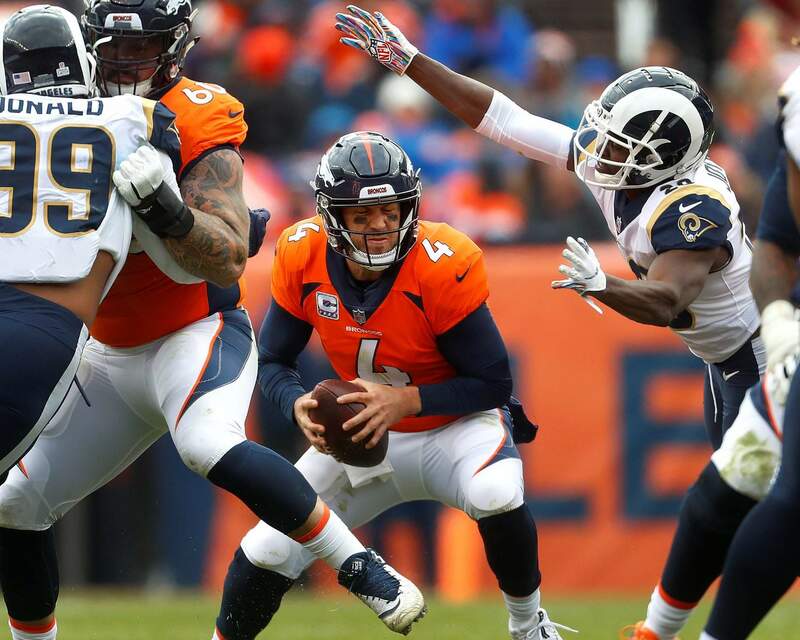 Denver Broncos quarterback Case Keenum (4) throws as Los Angeles Rams linebacker Samson Ebukam (50) pursues during the first half Sunday in Denver. ENGLEWOOD – When the Denver Broncos signed Case Keenum to a two-year, $36 million deal last spring, they figured they were getting the quarterback who had led the Vikings to within one step of the Super Bowl.